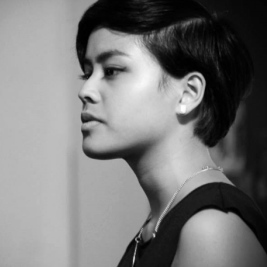 Eunice Andrada is a Filipino-Australian poet, journalist, and teaching artist based in Sydney. Her poems have been featured in Peril, Voiceworks, and Deep Water Literary Review, among others. Featured in The Guardian, CNN International and other media, she has also performed her poetry in diverse international stages, from the Sydney Opera House to the UN Climate Negotiations in Paris. She was awarded the John Marsden & Hachette Australia Poetry Prize in 2014. In 2016, she was honoured by Australian Poetry as the first of their 30 Under 30 Poets. Her first collection of poetry is forthcoming.